One of the most highly-anticipated NBA Finals in recent memory is about to get underway, and it’s a series I’m definitely looking forward to watching—not only as a player, but as a fan of the game. It’s the third straight go-around for a Finals matchup between the Golden State Warriors and Cleveland Cavaliers, and that’s pretty impressive. For two teams to meet three times in a row in the Finals is pretty rare in professional sports. Something always happens—guys get hurt, or traded or sign in different places. Any number of factors can change up the script. So for both teams to be as successful as they have been, to get here three times makes this series pretty intriguing. That each team has won one of those meetings makes this the rubber match, and the series is that much more interesting because of that. 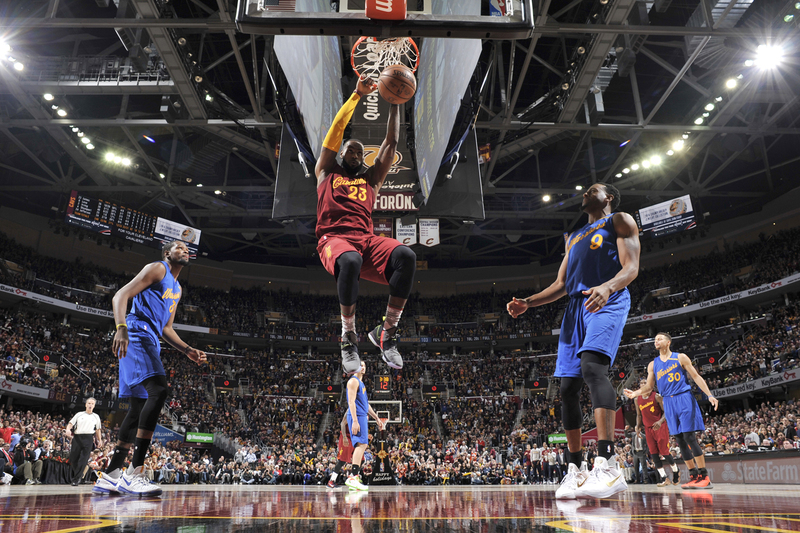 Cleveland got it done last year, but it remains to be seen if they can do it again after Golden State reloaded. I’m excited to see if they can somehow keep up with Golden State now. The Warriors are so powerful offensively, especially in transition, that the Cavs will have to make shots to keep up with them. And now with Kevin Durant, who I think is the best offensive player in the world, if the Warriors are stuck and really need something, they have a guy they can go to in the half-court, and who a lot of times can’t be stopped. The crazy part is that the Warriors are the top defensive team in the league, too. Everyone talks about their offense, but their defense is just as good. So I’m interested to see how well Cleveland can score on them. The Cavs definitely have some weapons and the ability to go shot-for-shot with them. It’s just going to be a matter of if they can do it four times. So far, no one has been able to outscore the Warriors in the playoffs even once. That’s probably the most impressive part of Golden State’s ride here. To be able to stay focused and not ever let even one game slip, while keeping that rhythm—even though they’ve had a lot of time off, and with their head coach Steve Kerr away from the team—that is really special. Even in the playoffs, a team can get hot on you, especially when you’re on the road, and steal one game, even if they’re not the better team. So for them to not drop a game is definitely impressive. It’s pretty obvious to say it, but the Warriors definitely have the edge offensively in the series. They have so many weapons. They arguably have the best pure offensive talent in the world in KD, and then right behind him is a guy near the top of a short list of the best offensive players in the world, Steph Curry. 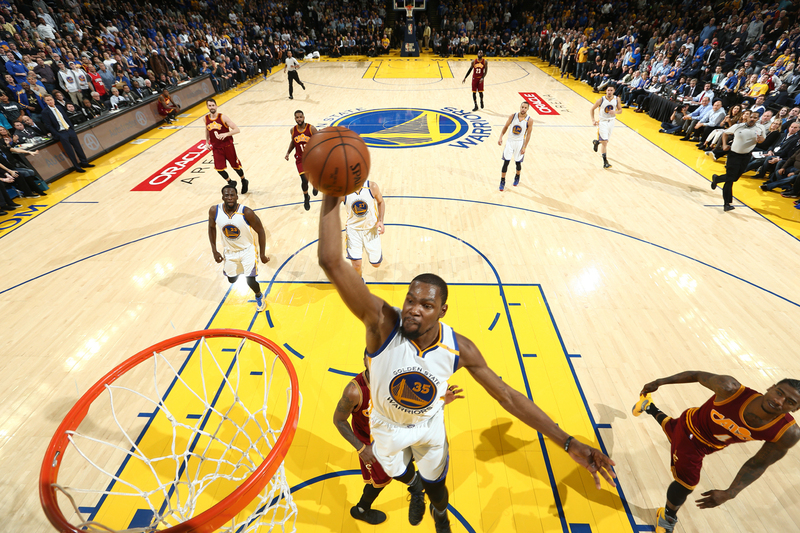 The Warriors offense is lethal, led by, in my opinion, the best offensive player in the game — Kevin Durant (Getty Images). Of course, if you try to stop those two and you leave Klay Thompson, he can put 60 points on you. He’s shown that this season. And if you somehow manage to take those three away, Draymond Green does a great job, when you leave him open, of finding a guy at the rim for a lob dunk or shooting his three. The guys who come in off the bench are good offensively as well. Andre Iguodala, Shaun Livingston and David West are all savvy vets who have played their roles to perfection, and get the job done when they need to. Even Ian Clark has been making shots for them this year. There are just so many weapons for them. That’s what makes them so hard to defend. In the end, there isn’t just one guy. And you can’t really focus on anyone in particular; their whole team is really good offensively. That said, your goal when defending them is to force anybody other than KD, Steph and Klay into beating you. If Draymond has 40, you tip your hat to him and say “Good game.” If Zaza gets 20 on you, if Iguodala or Livingston have huge games, then you tip your hat to them. You want to stop Steph and KD and Klay from getting theirs. But it’s easier said than done. What really sets the Warriors apart is the fact that they’re so good at getting out in transition. That’s the way they can really expose Cleveland. If they can get out on the run and make some of the Cavs players guard people they’re not used to guarding, that can be a problem for Cleveland. So the Cavs have to try and keep Golden State in the half-court and slow them down, make them play within the clock, because the Warriors would rather not come down and have to run a half-court set. That’s when they can be turnover-prone because they are whipping passes around, and trying to make pretty plays. If they’re running full-speed and get a dunk or wide-open three, that’s what really gets them going and gives them momentum. That’s they way they like to play. 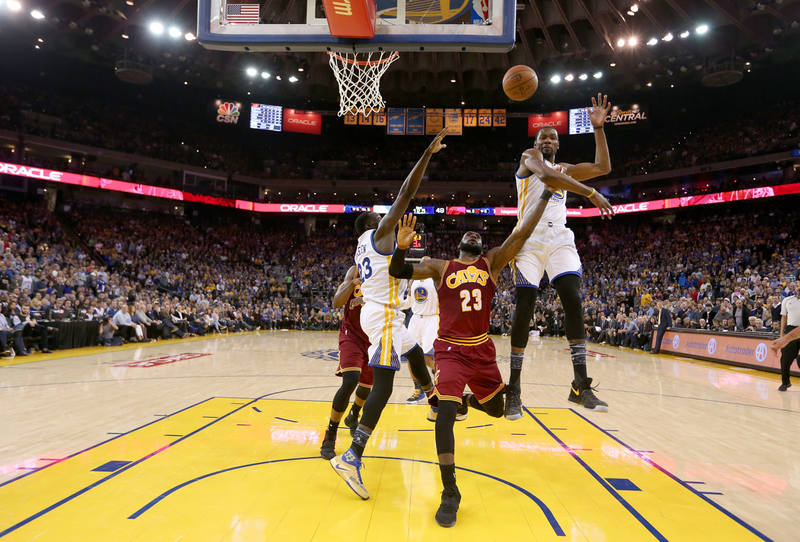 When the Warriors get out on the break, you’re really helpless to stop them (Getty Images). The only real way you can defend their transition offense is through your own offense. 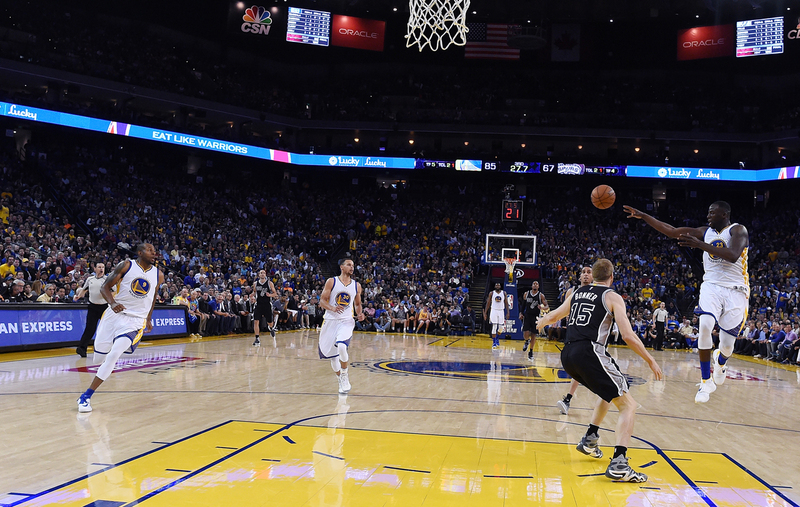 By scoring, or at the very least, by making sure you’re taking good shots. And you can’t turn the ball over. If you have a live-ball turnover against the Warriors, you might as well just add two or three points to their side, because all five of their guys run the floor, and they all shoot, so you really don’t have much of a chance. We ended up just trying to Euro-foul them if we had a live-ball turnover, no matter what. Even if we had guys back, we still wanted to Euro-foul, just so we could set our defense up. That’s one way you stop their transition offense. But if they get out and run, you’re really at their mercy. Good shot selection will be key for Cleveland, and a lot of that will come from exploiting mismatches. The Warriors switch a lot, so it’ll be interesting to see who they decide to switch on and who to leave. I think if they try to switch Zaza on LeBron and the Cavs space the floor, then he can get down the lane and get to the rim or kick out and find shooters. But another thing the Warriors do a good job of is packing the paint. So when they do switch and it’s a mismatch, there isn’t a lot of room to get inside. They’re so long and they recover really well, so when you do attack the big, they either force you into a tough shot, or there’s help coming. So even when LeBron gets a mismatch, they’re likely still going to be in position to make him shoot from the outside. Kyrie proved last year that he’s a winner and a closer, and he’s backed it up this season. Kyrie will obviously be really important to breaking down the Warriors defense as well. He’s a guy who can get his own shot and has proven to be a shot-maker one-on-one. It doesn’t necessarily matter who is on Kyrie. He can find ways to score. I think he’s going to be really key. He’s going to have to attack switches and mismatches, and make sure he’s hitting his shots. 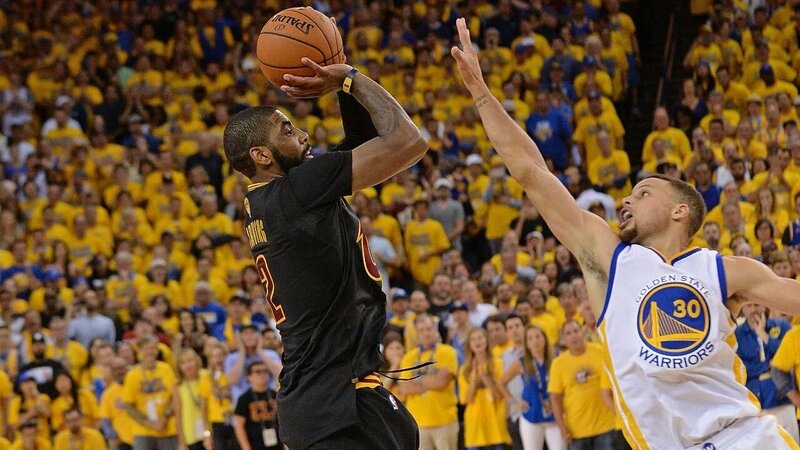 To me, Kyrie’s the best finisher in the game at the point guard position. You always have to be worried about the blow-by when you’re guarding him. Anything around the rim, he’s really good at finishing. And then if he’s able to knock down his shots, which he’s shown he can do, that’s where he becomes really hard to guard. When a guy can get on top of the rim and finish, and shoot step-back threes, it doesn’t necessarily matter who is guarding him. When you put him on an island with somebody, they’re at his mercy. Guys with length can at least make it a little tougher on him, and that’s why if I’m coaching Golden State, I probably have Klay defending him. Klay is a terrific defender. He can guard multiple spots with his length. He’s a little bigger and taller, so he’ll bother Kyrie’s shots a little more with his height, and his feet are quick enough to make his drives more difficult. Cleveland is another team that likes to get out in transition, and Kyrie can be lethal there, but that’s where LeBron really does the most damage. They do really well when he’s out in the open court attacking the rim. He’s just so big and strong, he’s a guy who you can’t really stop when he gets going. And he adds new aspects to his game every year. Recently, he’s been doing a really good job of getting open in the half-court with his cuts. 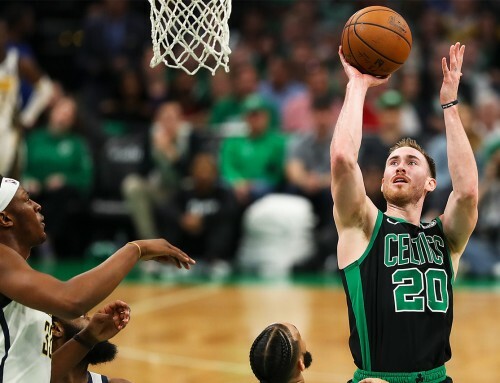 He’s become a really potent cutter, so when someone else has the ball, he gets on top of the rim where he can finish, or at least do enough to draw a foul and get to the line. He’s done that a lot more lately, and I think some of that has to do with their personnel now. Kevin Love is playing well, and Kyrie is able to break down the defense himself, so it’s not all on LeBron. That’s helped him, especially as he’s gotten older. LeBron’s game keeps evolving. This year he’s been incredible at cutting off the ball and getting to the rim to finish (Getty Images). With LeBron, you hope he shoots it, and you hope he misses, because he’s so powerful and explosive getting to the rim, you almost have to at least force that jump shot. That’s what the Warriors will try to do, try to force him into those tough shots. If anyone can do it, it’s them, because they have multiple bodies who can try to guard him. But what the Warriors really don’t want is for the other guys on the Cavaliers to get going. LeBron’s going to get his points—but he wants to get his teammates involved, too. He’s not a guy who wants to shoot 40 times. He wants to get everyone else making plays around him. Cleveland is at their best when LeBron has 30, Kyrie has 25, Kevin Love has 20, JR Smith has 15 and a few other guys hit double digits. To beat the Warriors, you have to find ways to score with them. So the Cavs are going to need all the points they can get. They are truly going to need a total team effort to win this series. They’re going to need Kevin Love to play well throughout the series. He’s a guy who can take advantage of mismatches if they try to switch a smaller guy onto him. He’s capable of getting good looks in the post against those guys. He has also been known to get to the glass and grab some offensive rebounds. But his outside shooting is going to be the most important part of his game for Cleveland in this series. When the Warriors double LeBron, or when LeBron draws people in, if Love gets his open looks or even slightly contested looks at threes, he’s going to have to knock them down. Because you have to put up points against the Warriors if you’re going to stand a chance. All the guys they have coming off the bench are going to have to be able to knock down shots, too. When Kyrie drives, when LeBron drives, or if Love has a mismatch, those guys have to be ready for a kick-out and just knock down threes. The Cavs like to shoot threes. They shoot a lot of them, and they’re going to have to shoot them at a high percentage, because if they miss those long shots, it’s right back out on the break for the Warriors. Hitting those shots is going to be tough to do though, because even on the defensive end, I’d give the edge to Golden State in this series. That is why they’re such a good team. Not only are they good offensively, but they’re really good defensively too. They’re really long, athletic and they can switch a lot—they’re very versatile defensively. They don’t really have too many weaknesses. 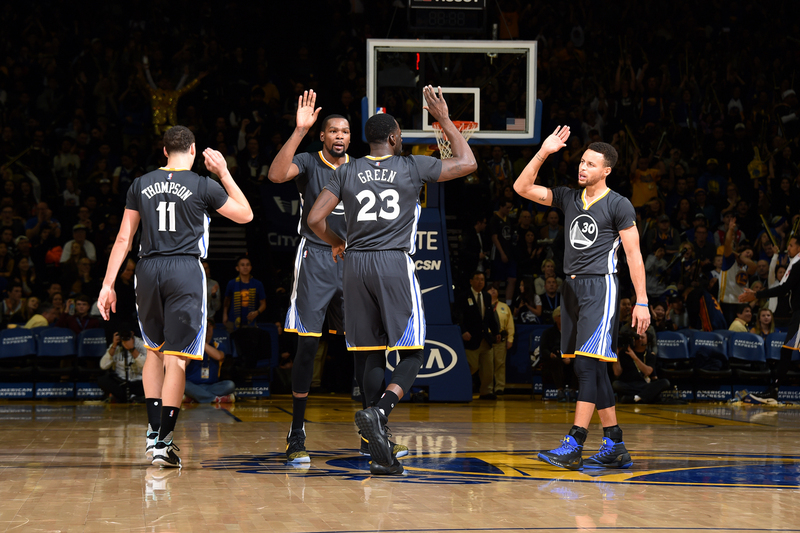 Not only do they have the NBA’s most potent offense, Golden State also has the league’s best defense (Getty Images). You could argue that Steph is a weakness for them defensively at the point guard position, but he’s a smart player and he plays hard and competes, and when you do that, you’re not a liability. All five guys they put out there on the floor can guard and play defense. Their defense just leads straight to their offense too—so it’s a lethal combination. They don’t really skip a beat with their bench play either because they do it by committee there as well, and have several key contributors in their reserve group. Shaun Livingston is really important because of his ability to come in and control the pace while still pushing the tempo, and finding good shots for everybody. David West was a key guy against us. He just picked us apart from the elbow position and the top of the key with his passing. If we left him open, he knocked down that little mid-range jump shot. And of course, you can’t forget the Finals MVP from a couple years ago, Andre Iguodala. He helps facilitate and run the team. If somebody goes down with early foul trouble, he’ll come in and can play two through four, because he can go out on the wing or bring the ball up in transition. If you leave him wide open, he’ll shoot the three. He’s also a terrific defender. He’s another guy who can guard LeBron, and can guard Kyrie a little bit. He’s an important guy for them off the bench. Like I said, they have a ton of weapons. It’s a pick your poison situation. Right when Kevin Durant made the decision to go to Golden State, people said that it would be an embarrassment if they don’t win a championship. That holds true. Considering what the Warriors have done—they won it two years ago, then set the record for the most regular-season wins a year ago, then went and added Kevin Durant—there is only one expectation. Anything less than a title for the Warriors this year will be seen as a failure, but I think they get it done (Getty Images). Their goal is to win the whole thing, and anything less than that is definitely a failure. I’m sure that’s what they believe. They definitely have the ability and the talent to win this series and if they don’t, it’s probably a failure in their minds as well. But I’m sure the Cavs feel the same way. If Cleveland doesn’t win, I know LeBron will look at it as a failure. Both teams feel like they have an opportunity to win and feel like they should win, and that’s what makes this matchup so intriguing. As far as what I think happens, I see the Warriors winning in five, maybe six games. They just have too many options. Not only are they historically good offensively, they’re almost as good defensively too. As long as they stay healthy, what they have is just too much, and I think they’ll walk away with the title. Good writing G! I hope you’re blogging about you in the finals soon. Excited to see you at GameTyrant Expo!! Hey Gordon! This was such a good read, it’s not everyday an NBA player would write his analysis on other teams and post it online. I also agree with you, I think Golden State is just too talented at this point. But if we’ve learned from last year’s finals, if there’s anyone who can conjure up a miracle, it’s Lebron James. Even so, I’m leaning on the Warriors to win it in 6 or 7. Hoping this would be a great finals seriesc hope to see you in a Jazz uniform next season! Excellent job and analysis! The Jazz were the only team I saw that consistently Euro-fouled and it was a great move. It helped keep you in three of the four games despite being so short handed. No one can fully contain KD… but if LeBron can contain him for one quarter, the Cavs will have a shot. You were really fun to watch this year and took a huge leap forward. I hope that the Jazz can add another piece to build around you, Rudy and hopefully GH, and that you sTick around for another five years. If you do, I truly believe that the Jazz challenge GSW in two years. Thanks for writing G! No matter what you decide this summer you will always have fans here in Utah! Great insight. Thanks for taking the time to share with the fans! G..What you’ve been able to accomplish these last few season with the JAZZ has been nothing short of miraculous. You have resurrected Jazz Pride here. You should feel good about all you have been able to accomplish here in Utah. That being said, there is still work to be done. You brought us this far. I pray that you will bring us the rest of the way. 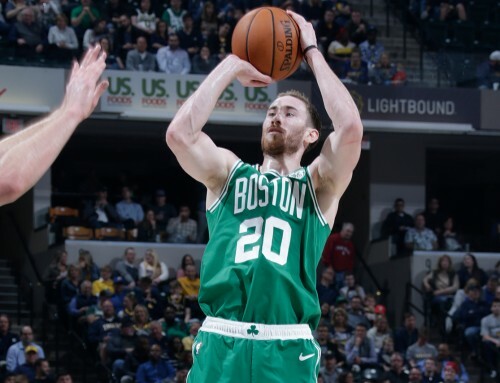 stay G Hayward. You are loved much. A very good and articulate blog G. Ya know I was going to do as others are and beg you, but I’m not- you have done everything a player can do to consistently get better and now we as Jazz Nation are extremely proud of you- our ALLSTAR ! I really liked this blog because of how well it was written. Your insight is really cool and I think it’s awesome to read about how tapped in to the league you are. You’re definitely a standout player. Thanks for taking the time to write and post this. Utah seems to love you and we all understand why, but Boston can promise you a ring/better legacy within 3-4 years. You know what to do. If LeBron were to win this series, as improbabile as it seems, what would that do for his legacy and overall career? Would a victory help LeBron surpass Jordan, or is Michael’s 6-0 untouchable? Well written insights. You have a career in NBA journalism when you retire as a repeat Allstar or better. 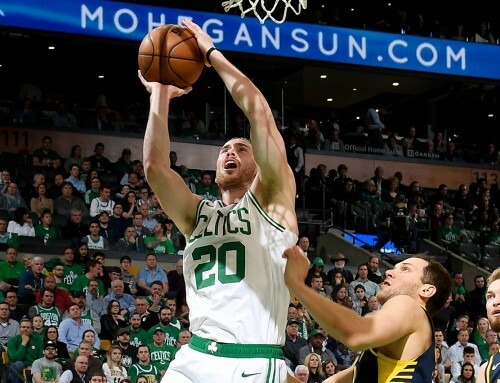 I know my family are not just Jazz fans, we are Hayward Fans regardless of the jersey you wear in the future! If the Spurs had Leonard and Parker helping on transition, scoring points and getting back on defense, they could have a chance to beat the Warriors. I know that they’ve got so much talent to win a championship but let’s remember that there is a King who knows how to dominate the game. He defines greatness and I believe that if everybody can step up in the game like they did with the Boston Celtics, they got a big chance of winning the finals in 6 or 7. Also what needs to be improved from the Cavs are turnovers. If they can make smart passes and take good shots at the rim, they can keep up or go ahead of the warriors. Playing hard defense and grabbing rebounds can help avoid the opposing team to get second chance points because as soon as they get a rebound, they give a quick pass and the ball ends up at the net. After all, You do have a point. It would be tough for them to beat this Super team but nothing is impossible. If they can play hard until the end knowing that it is never over until the game is officially over, there is a chance especially for a team who has been a champion trailing 3-1 in finals series in 2016 and becoming first team to ever comeback. That is why in my opinion, Cleveland is taking the championship again this year. Thank you for taking time out to express your thoughts. It’s quite an insight to see how NBA basketball is from a player’s perspective. I don’t know too many players, if there are, who blog as well as you, and it shows your passion for the game. Hope you’ll stay in Utah. You’ve done alot of hard work that made this season special for yourself and for the franchise. I believe the best is yet to come for the Jazz with you and Rudy at the helm. 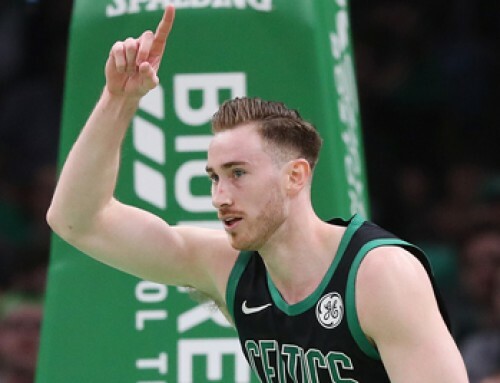 So Mr. Hayward…..What are your thoughts on super teams versus parity in the NBA? It would make an interesting post in your blog. Gordan my kids and I have loved having you in Utah. We’ve played ping pong with you at the Zions Bank Basketball Center and my family thanks you for being great! We are your fans for life and hope you’ll stay! Very good analysis GH! The GSW is indeed a very strong team. That is why many of us would love you to come to Spurs please! You know you know its the only choice. If you wont come to spurs, the NBA will be very boring because we all know GSW is gonna dominate the league again and I think that will be very bad thing for the sports. Please please please come to spurs. Not only spurs fans but NBA fans will be very happy if you come to Spurs. With you, Kawhi, LA, and the rising star PG DJ Murray will definitely be a very exciting line-up and for sure you have a great chance of defeating GSW. your a good writer Gordon. pretty cool. Great writing! My three boys, my little girl, my wife, and I hope to see you in Celtic Green! 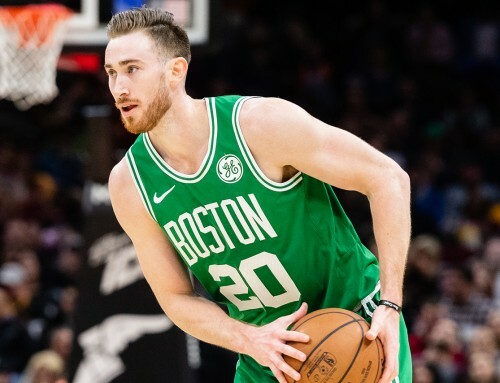 No matter what though we’ll be Hayward fans in the Kormylo Family! Very impressed with ur writing g hayward. Im a boston fan who would love you to come to boston, but it seems like ur well loved in utah. Best of luck in ur decision and i play clash royale too! Well written Gordo. Your analysis proved spot-on. Now can you please just come to Boston? Brad & Co. need you.